Home » Japanese Knotweed » Japanese Knotweed Removal – a knotty problem! Japanese Knotweed Removal – a knotty problem! It’s actually beautiful stuff. But Fallopia japonica, AKA the dreaded Japanese knotweed, a perennial in the Polygonaceae family, is a monster and powerfully destructive. A relative of Giant Knotweed and Himalayan Knotweed (which are also covered by the same legislation to prevent their spread), it was brought to Britain in the 1800s as an ornamental plant and while it is dramatically attractive, it has taken hold in all sorts of places where it isn’t welcome. 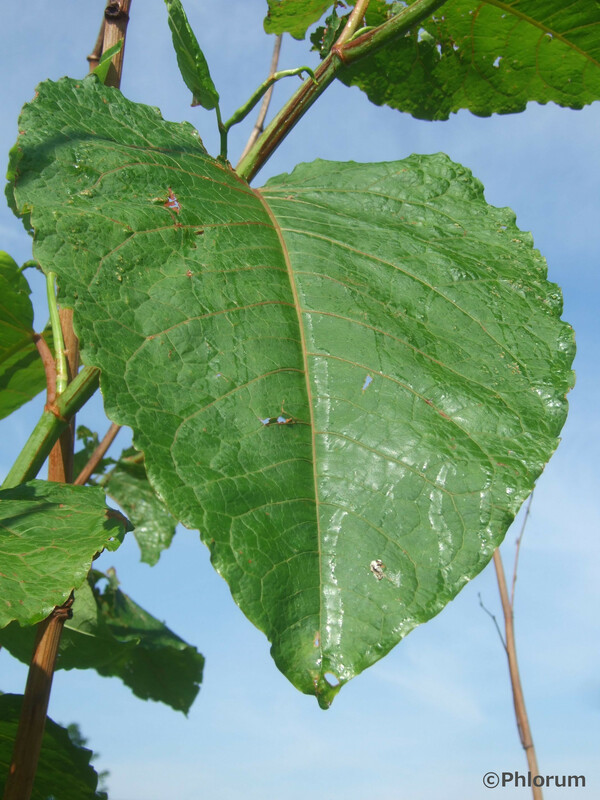 Japanese knotweed is bigger, stronger and faster-growing than many native plants and upsets the delicate balance between our local creatures and the environment they live in. Because it’s a long way from the place it evolved, it doesn’t have any native predators. Nothing eats it, nothing digs it up, nothing naturally halts its relentless spread. The plant spreads via underground stems called rhizomes, which make it even more of a challenge to control and get rid of. It pushes beneath tarmac and concrete, walls and drains, damaging our infrastructure. All it takes is ten days for a tiny centimetre long fragment of rhizome to turn into a thriving plant, and, anecdotally, the fragments can remain dormant in the soil for two decades and still produce viable plants. It isn’t illegal simply to have it growing on your land… although it might drive you to distraction! What’s the extent of your problem? We undertake surveys and site inspections as well as giving advice about control and management and actually removing the knotweed stuff for you. Our team are all appropriately licensed, highly qualified Japanese knotweed removers (most have a Master’s degree in a related discipline) and are members of a range of professional bodies including the Chartered Institute of Ecology and Environmental Management, the Property Care Association Invasive Weeds Control Group and the Institute of Environmental Management and Assessment. We’re fully trained on an ongoing basis in the best ways to remove this and other pernicious weeds. And, of course, we’re fully insured and can provide industry-topping insurance-backed guarantees and collateral warranties. Any questions? Just ask.